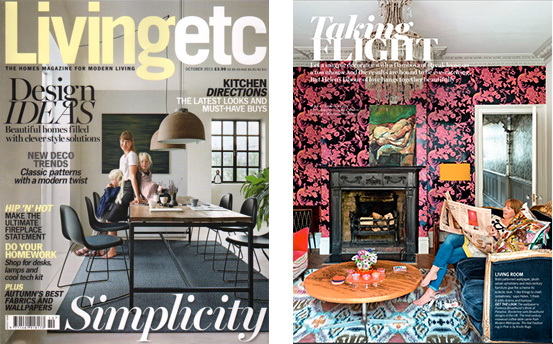 Helen was delighted to be invited by one of her favourite magazines, Livingetc, to talk about her interior designs and show readers how a life-long passion for exciting interiors has been brought to life in her Wandsworth home. Not sure what colour to paint your bedroom or kitchen? A "colour consultant" could help you make the most of your space. Paintbox Colour and Design is a London-based company offering colour consultancy and interior design services to residential and commercial clients. We take commissions for projects ranging from a colour consultation for one room, to whole house schemes. Commercial work includes bars and restaurants in Sydney and London. Our aim is to create original, beautiful schemes for our clients. Rooms that invite people in to look and touch and admire - and relax. Please take a look at our work on this site, email (helen@paintbox.co.uk), or call 020 8875 0748 for an initial consultation, free of charge.